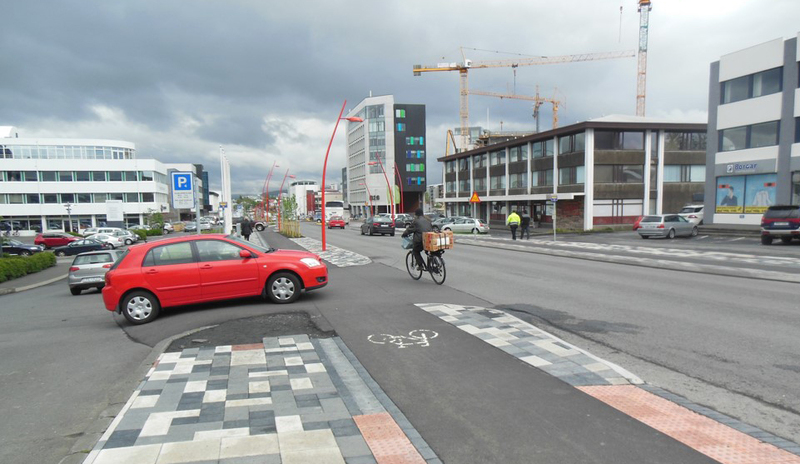 Over the past few years cycling has become an increasingly popular way to commute in Iceland. This article summarizes a deep analysis of road accidents involving serious injuries among cyclists during the period 2011-2013. This analysis is based on official registration of bicycle accidents from police reports (via the Icelandic Transport Authority). The total number of traffic accidents has decreased over the past few years, however the number of accidents involving serious injuries has not. The development of traffic accidents involving major injuries among cyclists over the past years draws concerns, as their share of traffic accidents with major injuries has grown. In the year 2013, 21% of all traffic accidents with serious injuries involved a cyclist. This development of accidents qualifies a need for further analysis. The analysis of serious traffic accidents involving cyclists covers a three-year period, 2011-2013. Every police report was reviewed and the following factors recorded: year, month, type of accident, urban situation, cause and location. The aim of the study is to observe the most common factors of the accidents in question. The data shows that no cyclists died in traffic accidents during the period 2011-2013, but there were 70 cases in which a cyclist was seriously injured. More than half of these cases took place in the year 2013. Four categories of bicycle accidents were addressed; a collision between a bicycle and a car, a collision between two bicycles, single-bicycle crashes and other. 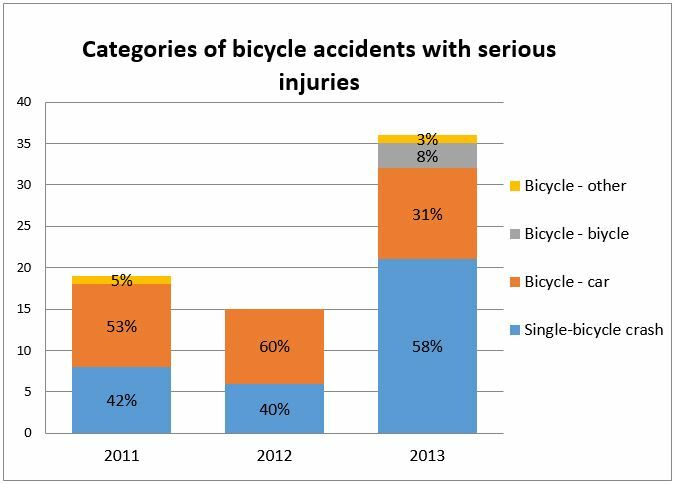 In the years 2011 and 2012 a collision between a bicycle and a car was the most common accident type, however in the year 2013 single-bicycle crash was the most common, see figure 1. Figure 1: Categories of serious bicycle accidents in the study period. More detailed analysis of the accidents shows that for the category bicycle – car, intersections are the most accident prone locations. In fact, 67% of all accidents involving a car and a bicycle occur at intersections. Further analysis of accidents taking place at intersections showed that the most common course of events was when the car was turning left or right, in 35% of the cases the car was turning left and in 35% of the cases the car was turning right. 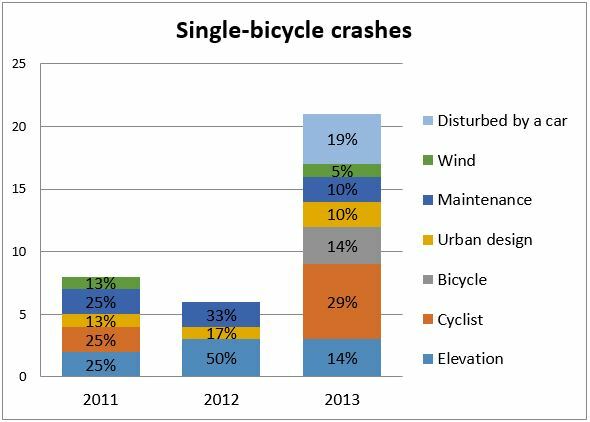 Further analysis of single-bicycle crashes showed that the reason for the accident to happen could be traced to various causes, see figure 2. Overall, the most common cause could be traced to cyclist error as well as elevation. More detailed analysis of single-bicycle accidents where the cause could be traced to the cyclist´s error showed no similarities. Additionally, further analysis of single-bicycle accidents where the cause could be traced to elevation showed that the majority of the accidents occurred when crossing a curb. Figure 2: Further analysis of single-bicycle crashes. The number of traffic accidents involving cyclists has increased over the past few years, this may not come as a surprise as the number of cyclists in traffic has grown severely. The increase in the number of single-bicycle crashes for the year 2013 is alarming. This increase can possibly be explained by the fact that the police is putting more effort into documenting accidents of this type. The number of collisions between a bicycle and a car, is similar in every year during the examination period. In the years 2011 and 2012 no accidents involving two cyclists were reported however in the year 2013 accidents of this type were reported to be 8% of serious bicycle accidents, perhaps this can be explained by the increased number of cyclists on separated cycling paths. The study is based on a relatively low number of accidents and this needs to be considered when viewing the results, as they are not statistically reliable. Nonetheless the study can be looked at as an indicator of the development of bicycle accidents. Two of the most common types of bicycle accidents are single-bicycle-crashes and collisions between a car and a bicycle. The police reports show the most common reason for the accidents, involving a car and a bicycle, to occur when the driver is not aware of the cyclist, especially in situations where a bicycle path crosses road intersections. Three problems can be addressed for this specific accident type, the speed of the cyclist, the cyclist´s visibility and possible obstruction of the driver´s vision. Urban design, maintenance of roads and paths, and elevation contribute to 51% of the single-bicycle crashes during the period 2011-2013. Therefore, improved maintenance, urban design and modification of curbs seem to have a great accident prevention potential. Cycling as a way to commute will most likely continue to increase in the years to come, therefore it is important to put more focus on bicycle safety, both on shared roads as well as designated bicycle paths. 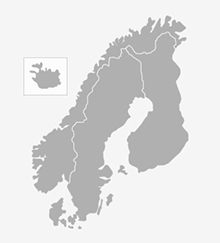 This entry was posted in Safety and tagged accident, accident types, bicycle, Icelandic Road and Coastal Administration, IRCA, single-bicycle crash, traffic safety, Vegagerdin. Bookmark the permalink.